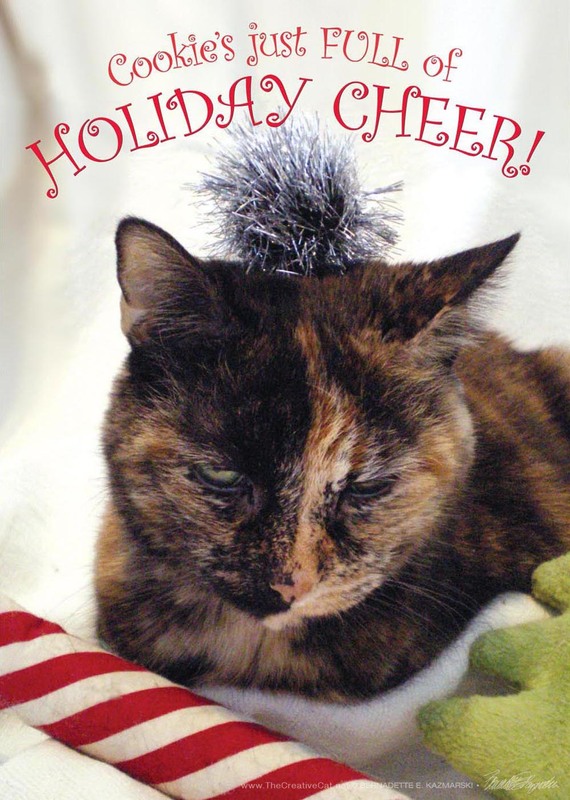 You know that Cookie is usually the sweetest tortoiseshell kitty you’d ever want to meet, but she’s less than thrilled about modeling. Especially when she’s been…”decorated”. On the back: “You’ll Pay For This.”“This is not how I want to be remembered.”It all started when I set the silver sparkle ball on Cookie’s head, and she gave me the tortie look, but stayed put. Cookie isn’t really wild about modeling for her mom’s stupid pictures. But you don’t see her running away. 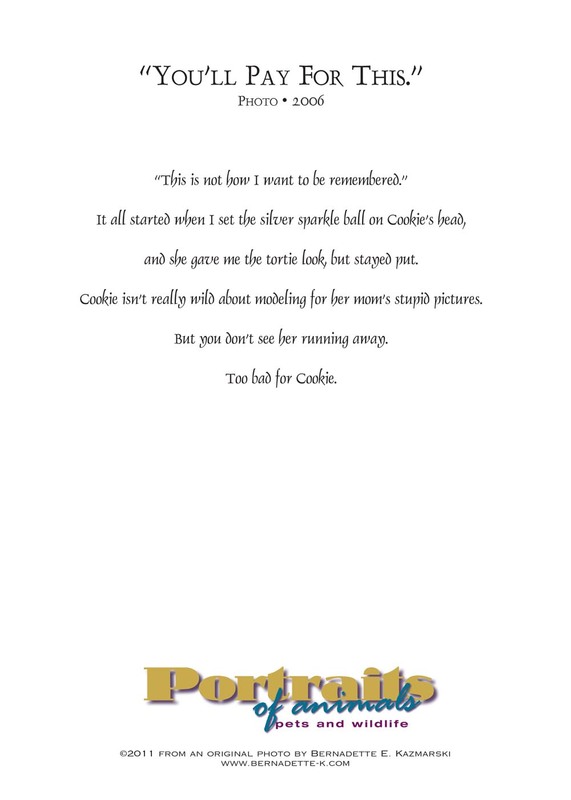 Too bad for Cookie. You can read more about how the photo shoot came together on The Creative Cat. This 5″ x 7″ card is printed on 12 pt. gloss card stock and includes a matching envelope, packed in a clear-top white cardboard greeting card box. This entry was posted on October 11, 2016 by Bernadette.